Many people are anxious about visiting the dentist; some even have a dental phobia. In fact, recent research would suggest that the number one reason adults put off dental treatment is fear. Fortunately, there are ways to help you manage your anxiety and receive the care you need. At S10, we have worked extensively with nervous patients, and provide a number of suitable treatment options, including intravenous conscious (IV) sedation. IV sedation works by delivering an anti-anxiety sedative directly into your bloodstream to induce a state of deep relaxation. You will remain conscious during your treatment, and able to understand and respond to instructions from your dentist, but the sedative will create a strong feeling of calm and well-being. Typically, patients who have opted for IV sedation experience either partial or full memory loss from when the drug is administered until its effects wear off. If you have a fear of injections or needles, we will only numb your mouth once the sedative has taken effect. For nervous patients, IV sedation can positively transform their experience of visiting the dentist. 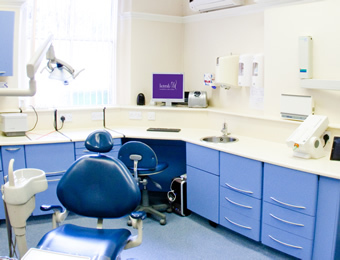 It is ideal for patients who do not want to be aware of the dental procedure they are having, and the level of sedation can be individually tailored. The results tend to be highly effective and reliable. If you are a nervous patient and would like to find out more about IV sedation, why not book a free appointment today to discuss your needs?